Torah Portion readings and the associated Haftarah readings generally follow the Stone Edition Chumash and/or the Complete Jewish Bible. Verse numbering generally follows the Hebrew tradition, and where modern Christian traditions differ those verse numbers are shown in parentheses (). Haftarah readings generally follow the Ashkenazi tradition. Where the Sephardic tradition differs, the Haftarah portions are designated as (A) and (S). Suggested New Testament readings are taken from the Walk! series of Messianic Devotion Commentaries by Dr. Jeffrey Enoch Feinberg. 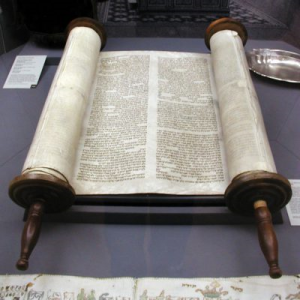 Messianic Torah Portion is hosted at Wealthy Affiliate. Purchases help support this site. These are some of the resources used as references for this site. Links will open in a new tab at Amazon. Please do not make purchases on Sabbath.